Web development is improving day by day. We have started to make use of the web in all parts of our living from the simplest to the biggest. We make use of it right from reading news till shopping and banking. At recent days the need for web developers have increased and talent of the developers is higher than ever. As 2017 draws to an end and 2018 is awaiting its entry, many web developers are eagerly waiting to know what new strategies would emerge this 2018. Are you interested to know what would be the next advancement? Let me walk you through the current trends of web development. This post is going to help you out to know much about the advancements that are about to materialize upcoming year. 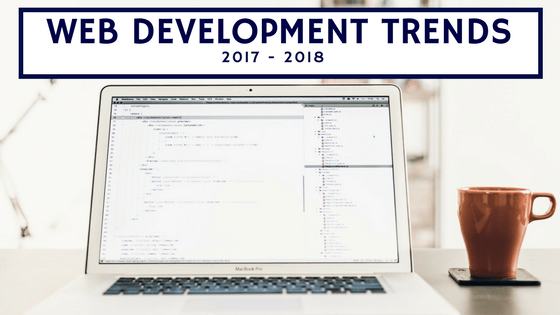 Have a glance at the various trending topics of web development that are highly expected to rule this 2018. HTML5 and CSS3: Lift up your web development to next level! Artificial Intelligence is turning out to be an impact on firm and companies are taking it to serious to compete against their competitors and in order to maintain their caliber in the industry. Initiated by Google and Facebook, AI has turned out to be the most common thing that many apps have engaged with these days. This allows devices to act more like human beings. One of the best examples of AI is the Face recognition, which is one good tool used by Facebook. HTTPS gives your website more security over HTTP. Moreover, in the upcoming year, HTTPS is predicted to have more impact on Google ranking. It is also suspected that Google prefers sites that are more secure. WP-CLI is a set of commands accessed by admin. In case if there are any changes to be made by the developers, they could forward it to the admin. The admin could possibly access it without the use of web browser. Added the advantage of using a WP-CLI is, there is no need of using multiple commands to transfer control to the admin. One single command is more than enough to make that happen. It is very simple, The more you know your customers the more conversions occur. If you are capable of knowing how your customers react to each and every section of your website then you are on track. The very common tool that is used to track customers is Google Analytics. It is the best tool amongst many other tools. Various open source platforms allow third-party tools to integrate. This could help you to integrate any customer tracking tool to your website. Google has started with an open source project which is the Google AMP (Accelerated Mobile Pages). The AMP project is completely for mobile web. In order to create a better experience for users on mobile screens Google has initiated the process. Hence, Google wanted the same codes to run smoothly for all platforms and devices. Google is intended to create a seamless web browsing experience on mobile view. The web pages with rich content and visuals would load faster. The web pages also works besides smart ads. Platforms like WordPress, Reddit, Bing, eBay and Pinterest have joined Google as technical partners. This has further helped publishers like Washington Post, Slate, Gizmodo and Wired to gain more traffic. Hence, there are a lot more to emerge this 2018 and many are already into existence this 2017. Developers are trying to update themselves eventually and equip them to be worth the standard for the upcoming technologies. Are you looking out for something that is great, then have you fingers crossed there might something more than your expectations in the web development arena. Am waiting either. Have I missed any of the important points do let me know through your valuable comments.